It’s about time we had another picnic day, to say hello to old friends and meet new and potential puppy owners. This year we are hoping for an even bigger and better picnic day. Let’s hope the weather is fine! 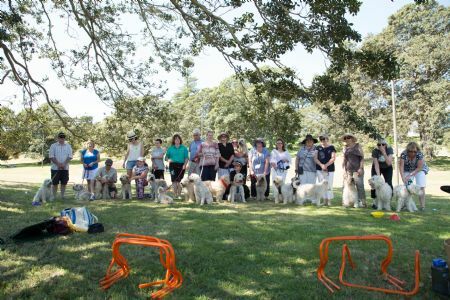 Over the years we have had a great time at our picnics and people have made it a real Wheaten experience. On many occasions we have gone into the very late afternoon – remember it is daylight saving! BYO: Each family to bring one savoury and one dessert plate to share, plus drinks, kid’s bikes, picnic table, chairs, rugs etc. and of course your beautiful Wheaten. Weather: In case of inclement weather, please ring Jeanette or Elizabeth (contact details below).Hope to see you there!